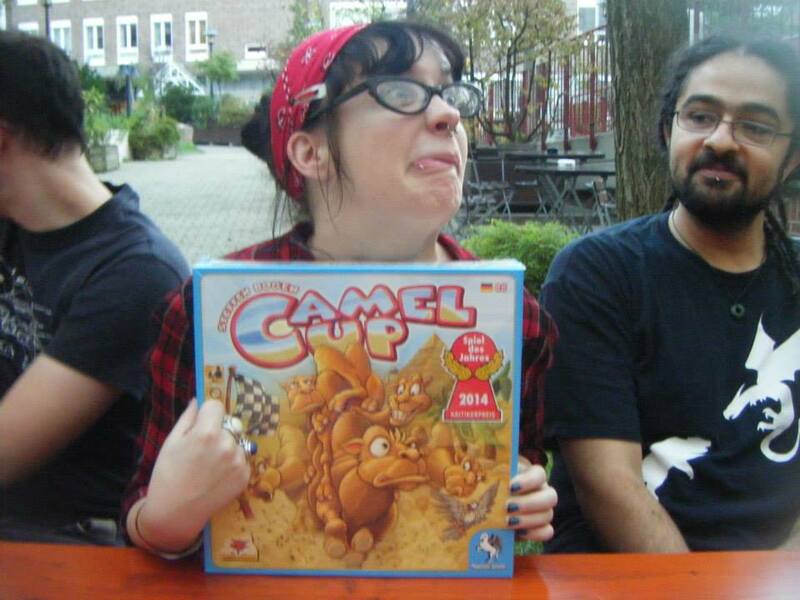 Essen Spiel, it turns out, pairs really well with: a nice litre or so of German Weiser. Who’d have thought it? 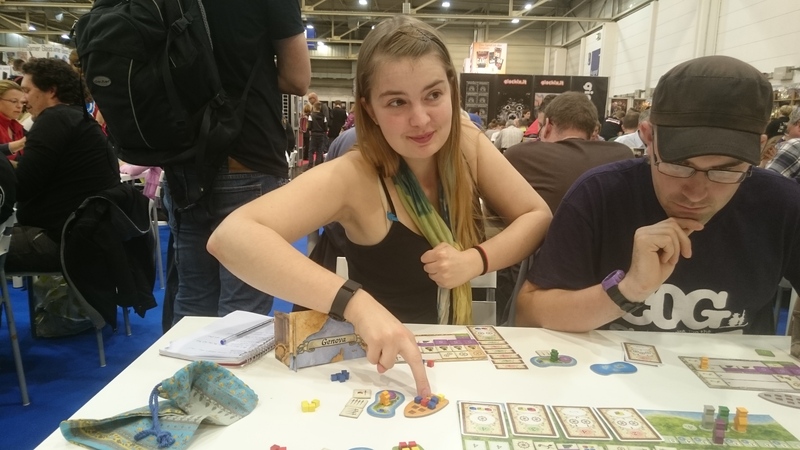 To begin a series of frantic, excited and well-beered posts, The Misery Farmers bring you the first installment of a series of blog reports straight from the board game convention’s mouth. 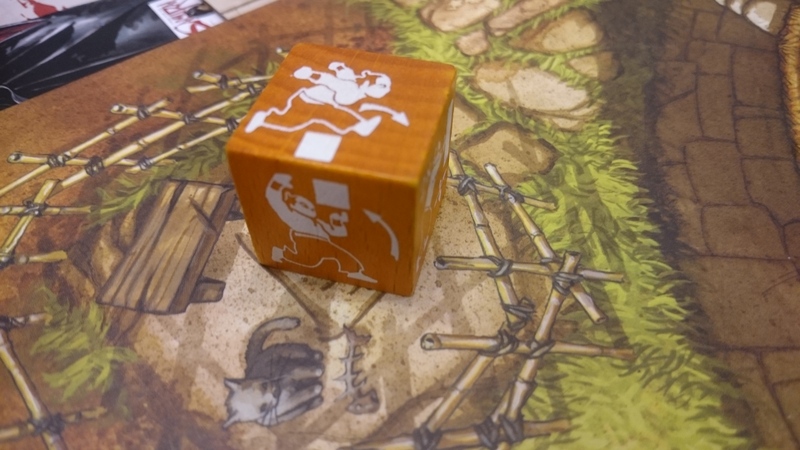 The three farmers have teamed up with what can only be described as a whole platoon of board-gaming friends to enjoy their biggest Essen adventure yet. 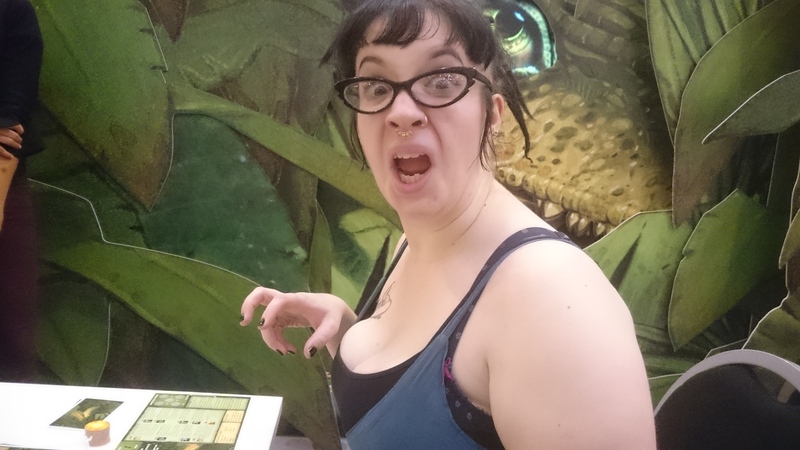 With Bob on the tweets and Briony running mad in a beer hall somewhere, these first glimpses of our convention adventure come from Lizzy “first on the scene” MiseryFarmer. Here you’ll find first impressions, photos, brief summaries and playthroughs of the games she’s tried so far. Tuck in! 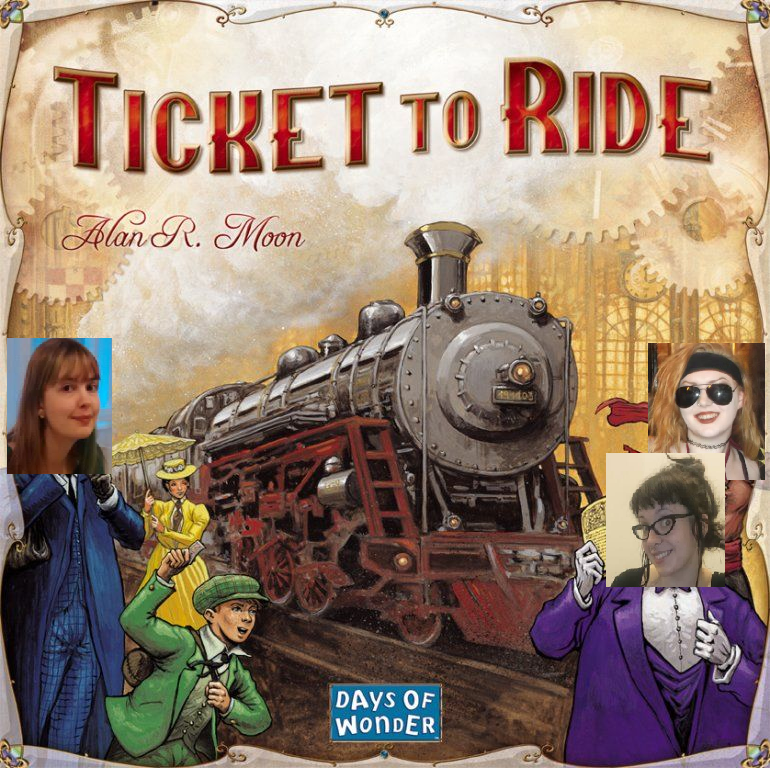 As the doors to the convention hall opened, Lizzy and much of the team ran towards the Queen Games sign, in a noble attempt to grab the first free table they saw and dive straight in to some board games. 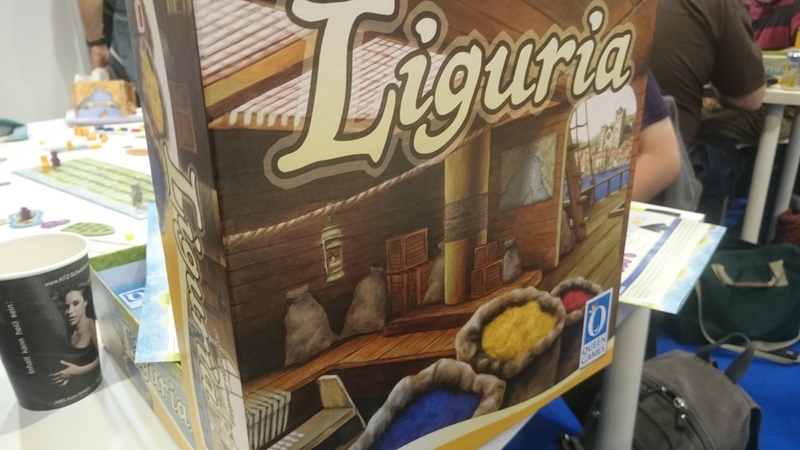 Liguria provided the perfect start! The lure of Liguria is the excellent little boats that come with it. We’re also a fan of the flexible layout of the pieces of the table! It transpired, after a few glances at the rules, that this wasn’t a flippant comment from a rules-explainer after all. We’re actually trading colours to paint a beautiful cathedral, or something. With actual bags of colour. … Fair enough! Don’t let the shaky trading pieces get the better of you though, the game was really fun! There’s an excellent selection of tactics and methods to victory, and the rules aren’t too complicated while still providing a lot of room for thought. 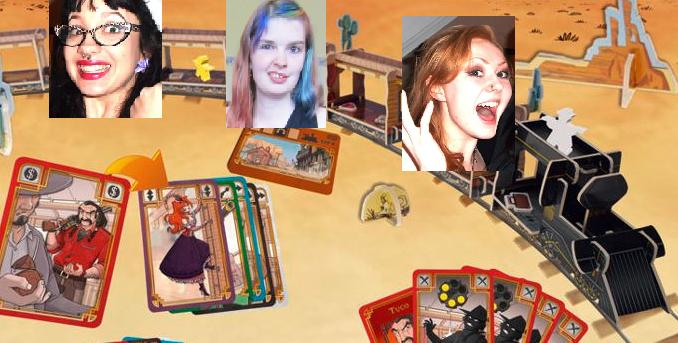 Being our first game at Essen we were pretty freakin’ excited. 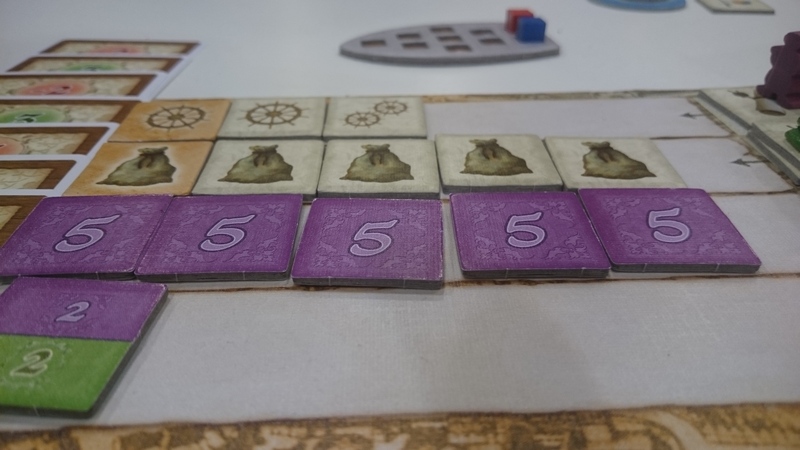 We learned pretty quickly that, despite all of the promising-looking colour trading and boats, building a few buildings is a sure route to victory. An excellently themed game, Raptor also wins the points for having the best wall display we’ve seen so far. As shown here, behind this Bob-shaped raptor. 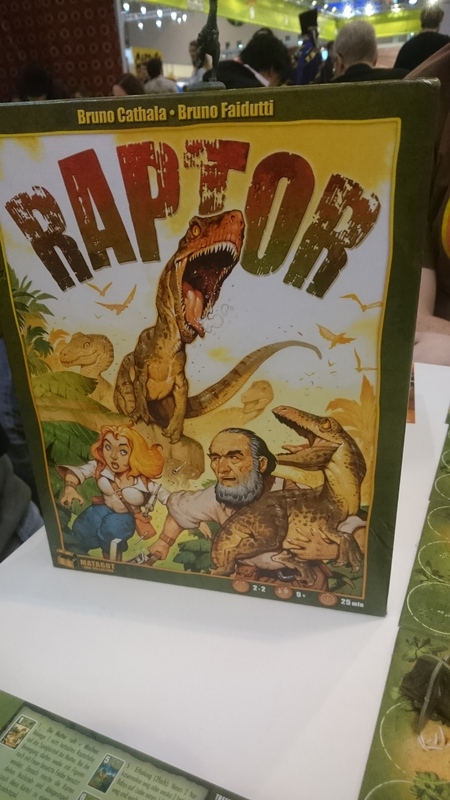 Raptor is a two-player game, in which one person plays the evil scientists trying to capture some baby raptors and the other plays the baby raptors and their mother, trying to either save the baby raptors or eat all of the humans. Either will do! 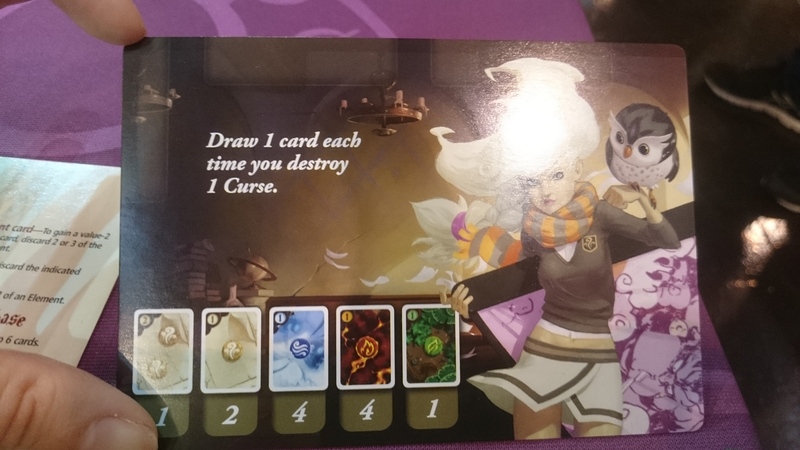 It’s a reasonably quick game, with a few interesting card mechanics. 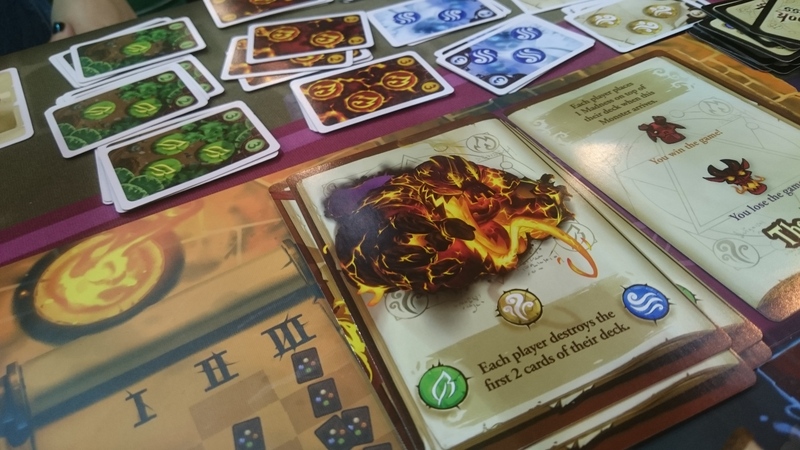 It’s difficult to tell how much this will ultimately rely on some luck, it’s very easy to get punished by playing the wrong card at the wrong time, giving your opponent a lot of ‘action points’ to play with and a lot of juicy humans to eat. Lizzy’s game was over pretty quickly (*raptor-burp*), but Bob and her robot-boyfriend insist that if you play it for long enough to actually get the hang of the rules then it turns out to be pretty playable. It’s unclear what Abraham Lincoln is doing on the front. 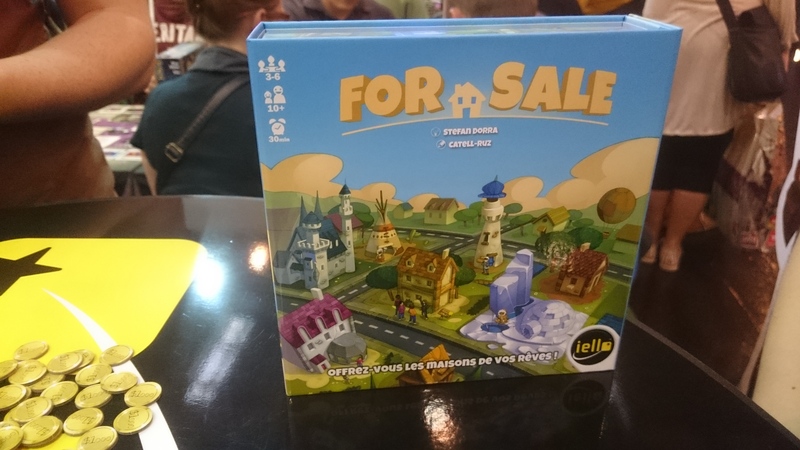 ‘For Sale’ was a game we stumbled across while lurking creepily around a table for The Big Book of Madness. 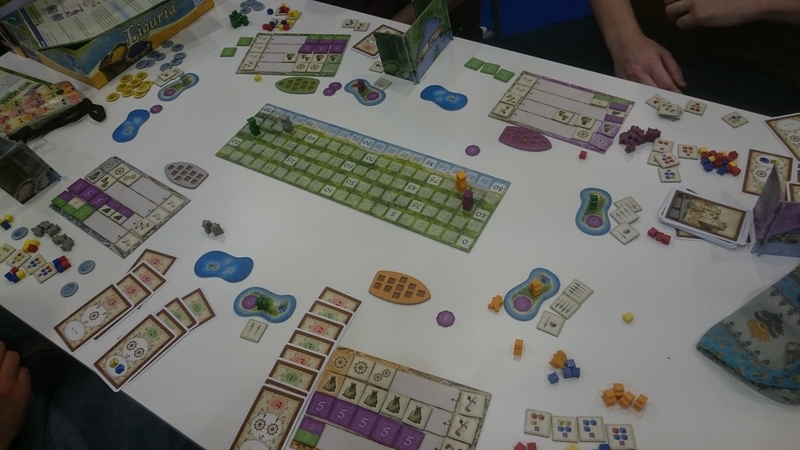 The game didn’t look appetising, nobody else seemed to want to play it and it was on one of those tables where you usually relegate your less popular short games to. Determined to stick close to TBBoM, for reasons to do with Bob and a very complicated excel spreadsheet of games she wanted to try, we gave the game a go anyway. And it was a surprisingly great game! For one thing, it’s more beautiful when you look at the cards. There are thirty different houses that cover a range in values, from grotty old outhouses (geddit? out… houses?) to some mid-range igloos right up to some fancy castles and space stations! After everyone’s tried spaffing all their bids on the best houses, a range of cheques are brought out in a similar way, and people have to spend their houses in a similar bidding war to get the cheques. All in all, a surprisingly good game! 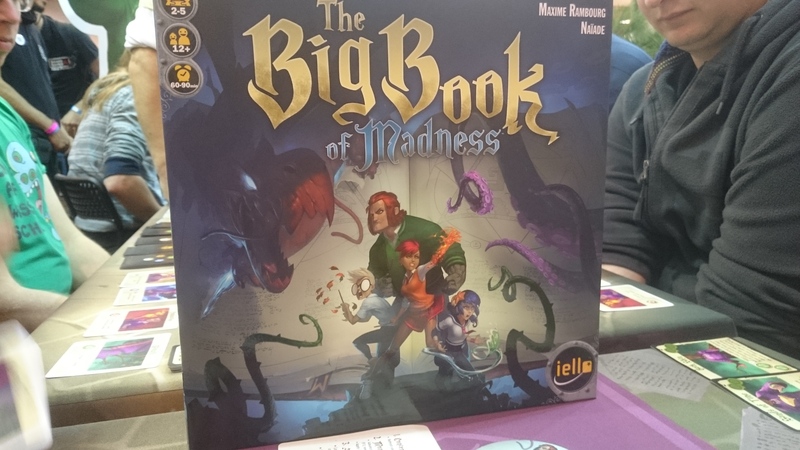 All that lurking in the shadows did eventually pay off, as the team got a turn at the game they were after: The Big Book of Madness. The game’s fairly easy to pick up. At least, moreso than it originally looks. But it also gets more complicated as it goes along, and sooner or later you’ll be writhing around in the requisite amount of horror for a co-op game. Of course, in classic Lizzy-style, it took her most of the way through the explanation of the rules before she even cottoned-on to the fact that it was co-operative. That’s what you get for not doing your research! A lot of people around the table praised the game for being a co-op game that didn’t have too much of a piggyback / quarter-back type problem, where one player tends to get a little bit carried away and start deciding everyone else’s moves for them. Having cards to yourself tends to lead you down a road of thinking “RIGHT! WHAT CAN I DO AND WHO CAN HELP ME? !” rather than worrying too much about anyone else. Nobody’s gone so far as to buy it, but it’s a game that’s definitely got us all talking. The final game of the day was, again, not a first choice but rather a game found from necessity. A certain couple (Bob and robot-boyfriend) had, already, on the first damned day, bought nine and a half board games between them. Nine and a half! You should have seen her face, gentle readers, as she would appear, scream something excitedly about some limited edition artist-signed games, then run off again into the distance. Unfortunately this did mean quite a lot of strain on the shoulders, so the final game was very much a case of “oh dear lord, if we don’t sit down now then I’m going to scream”. Luckily for us, it was five-in-a-row in the great game of finding games to play at Essen, and two of the four of us thought this last game was beautiful enough to buy. 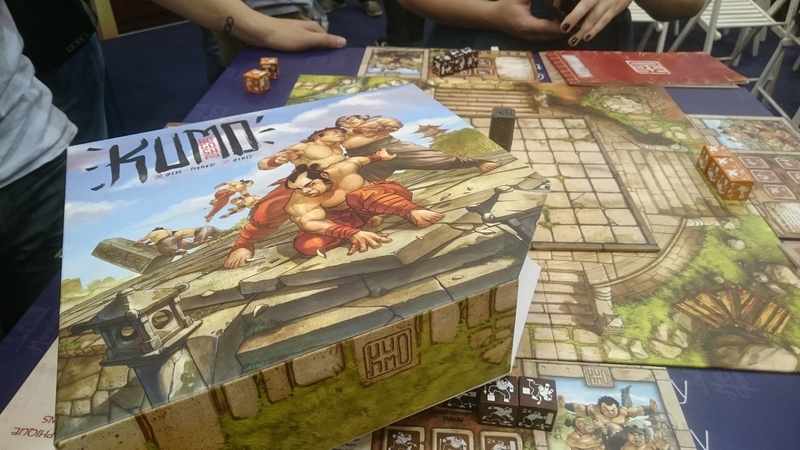 It’s a two-player game, or four-players if you pick teams of two, and you all play a group of kumotori trying to push a giant block off the right side of a rotating circle. 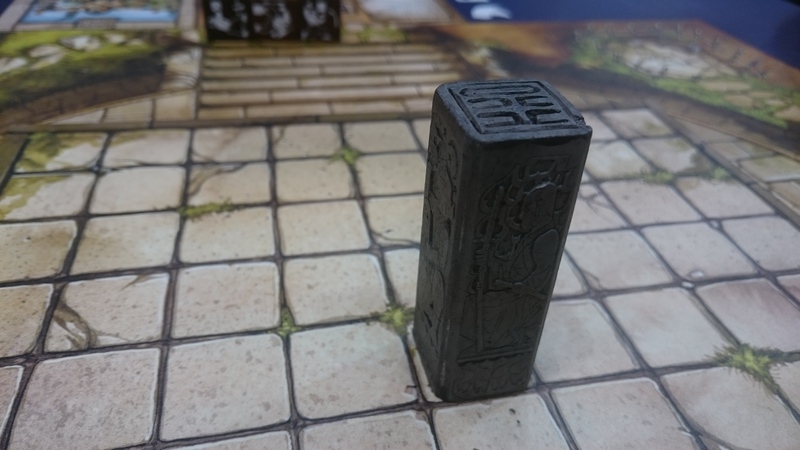 The game comes complete with rotating circle and giant block, and as if those things weren’t enough, it has an absolutely stunning box and some pretty good mechanics that more than one member of the team described as chess-like. Our one worry was that it might get a little too defensive at points. There’s not much hidden from your opponents, so it can sometimes be a case of just sitting, spending a long time considering your turn and trying to figure out what possible combinations of moves your opponent could do, and how to avoid leaving yourself in any position which might possibly lose you the game. 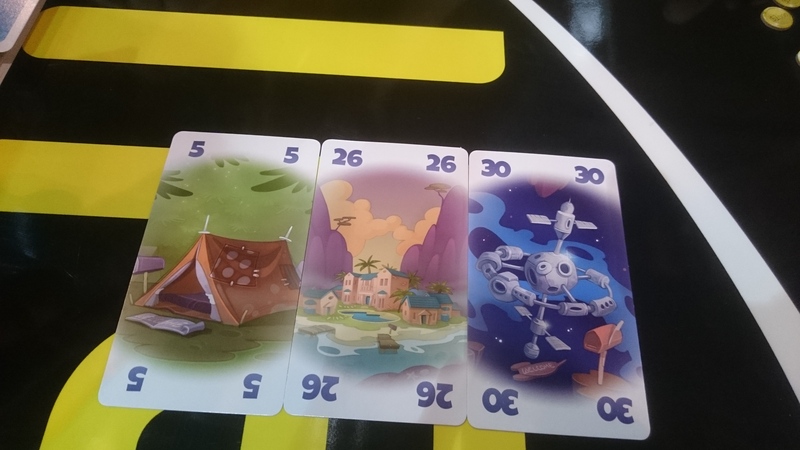 But these might be the tired ramblings of the last game of the first day of Essen. Only time will tell how they each play in the long run! Full reviews will eventually follow of the games we most enjoy.